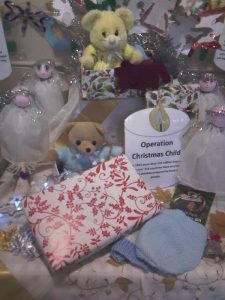 Our exhibition weekend 12-13 December was a great success, and raised nearly £200 for Together for Short Lives, a very worthwhile charity supporting families with children with life-threatening or life-limiting conditions. 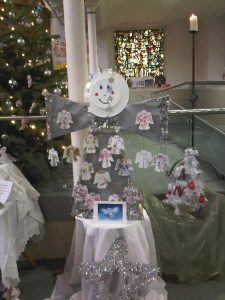 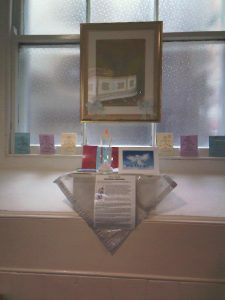 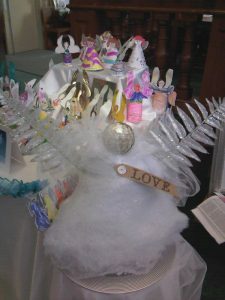 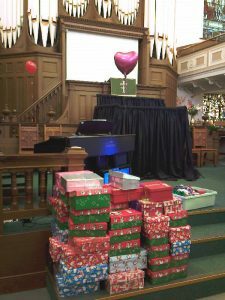 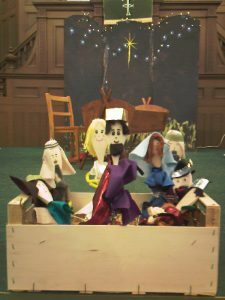 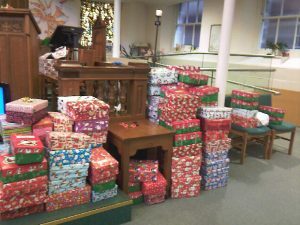 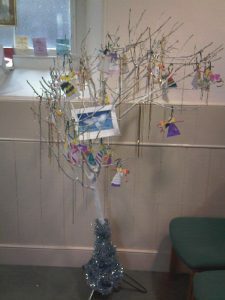 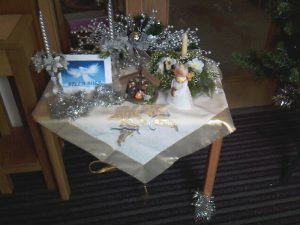 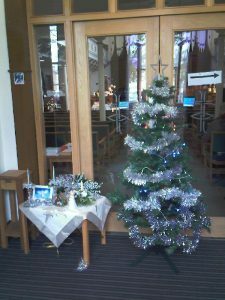 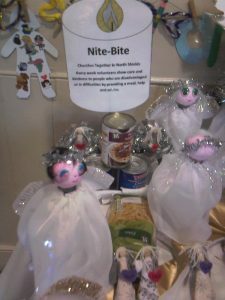 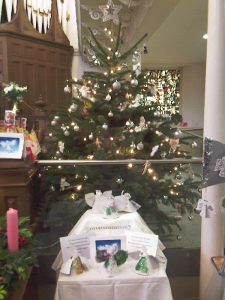 Over 20 groups from church and community contributed displays to our Festival of Angels. 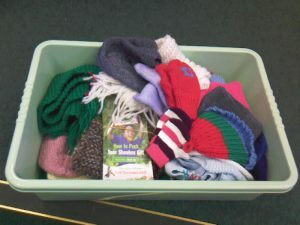 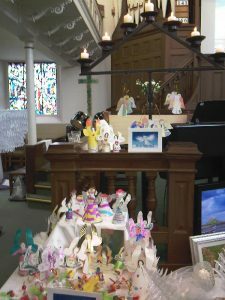 These included the feathered wings of the HANDS ladies group’s angel, made by cutting round their own hands, and Easy Peasi children’s group’s angels, with their own photos for faces. 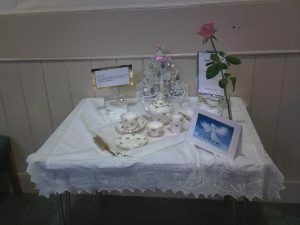 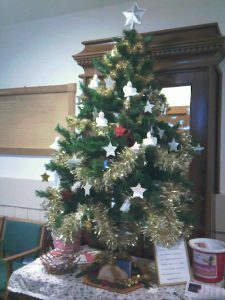 Many hands also helped with refreshments and stalls in the church hall. 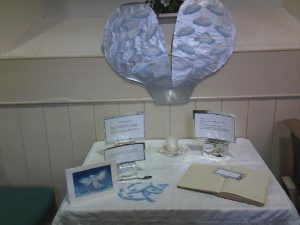 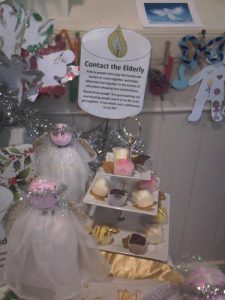 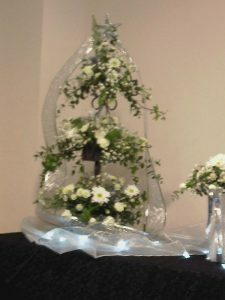 Here are some more pictures of the displays. 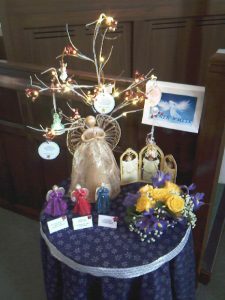 Here’s a preview of next weekend’s Festival of Angels exhibition, which will run in St Columba’s Church on Saturday 12 December 10.00-16.00 and Sunday 13 December 12.00-15.00, to coincide with the annual Victorian Christmas Market in Northumberland Square. 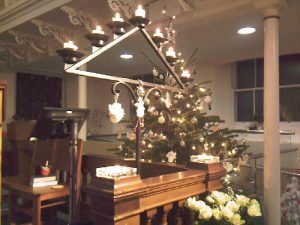 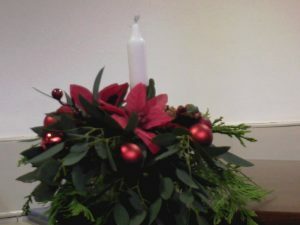 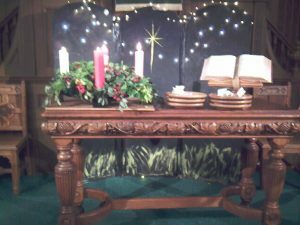 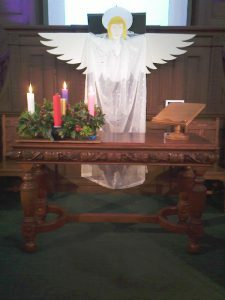 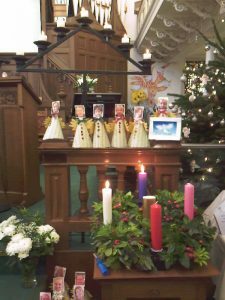 Our morning services on 6 and 13 December take up the angel theme. 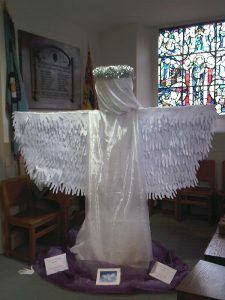 Today, Revd Liz Blair told us about angels in the Bible and in modern day life. 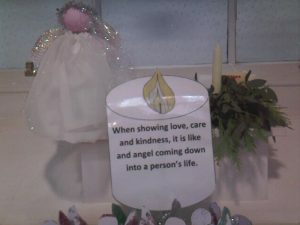 Angels are messengers from God, and they can also protect, provide, guide and release us.